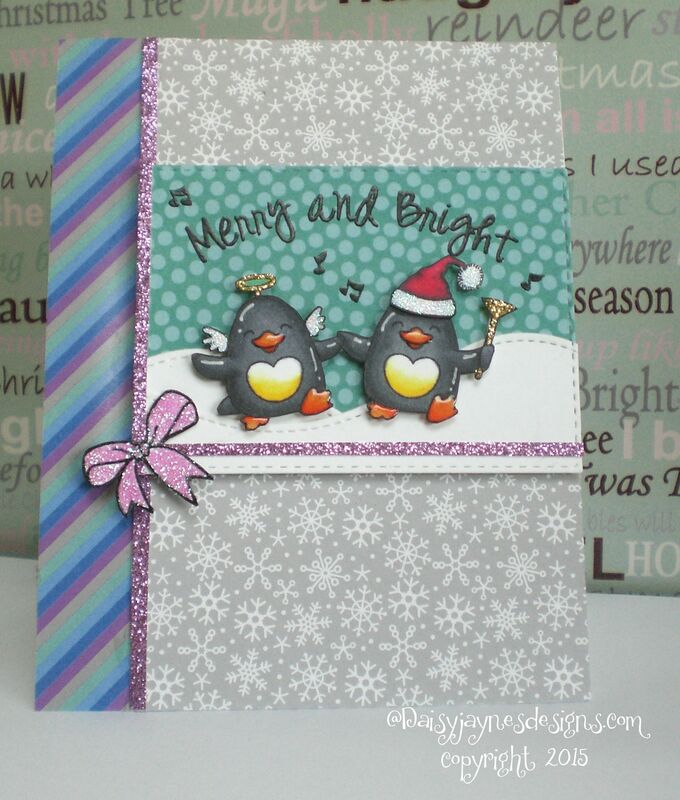 Today I am sharing with you the card I made for the Your Next Stamp card sketch challenge #23. Once again, I have used images from the clear stamp set ‘Waddles-snow fun’ (CYNS143). These guys are so cute and always have fun no matter what time of year it is!! The images were stamped in Memento Tuxedo Black ink onto Neenah solar white card and coloured with Spectrum Noir Markers.The papers I used were from the Doodlebug Design ‘Frosty friends’ 6×6 paper pad and I added a bit of lilac glitter card to some sparkle 🙂 The sentiment and music notes were stamped in Versafine Onyx Black ink and heat embossed with a clear embossing powder. To finish the card off, I added some Stickles glitter and some glossy accents. What a cute scene with the bit of sparkle and snowy hills. Those two are having fun and you colored them up wonderfully. Thanks for joining in the fun at YNS and sharing your take on the sketch.